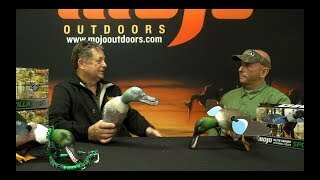 MOST INTERESTING DECOY IN THE WORLD! GREAT CONVERSATION PIECE! Great addition for the hunting camp, home or in the passenger seat of your truck on your way into town. Guaranteed to spark up a conversation! GREAT GIFT IDEA! Get one for yourself, your kids, your hunting buds, and anyone else you deem worthy! Very Limited Supply so get it while it's hot!